Served anytime. All breakfast burritos are made with 12" flour tortillas. *Cheese on top .50 extra. Mexicana Burrito - Scrambled eggs, tomatoes, onions, peppers, beans & rice. Chorizo Burrito - Scrambled eggs, chorizo, beans & rice. 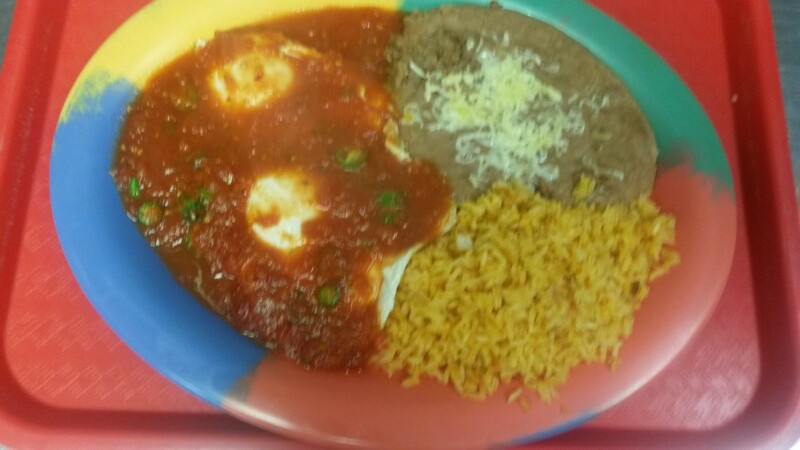 Huevos Rancheros - Two eggs served any style, covered with hot sauce. Served with beans, rice & your choice of tortillas. 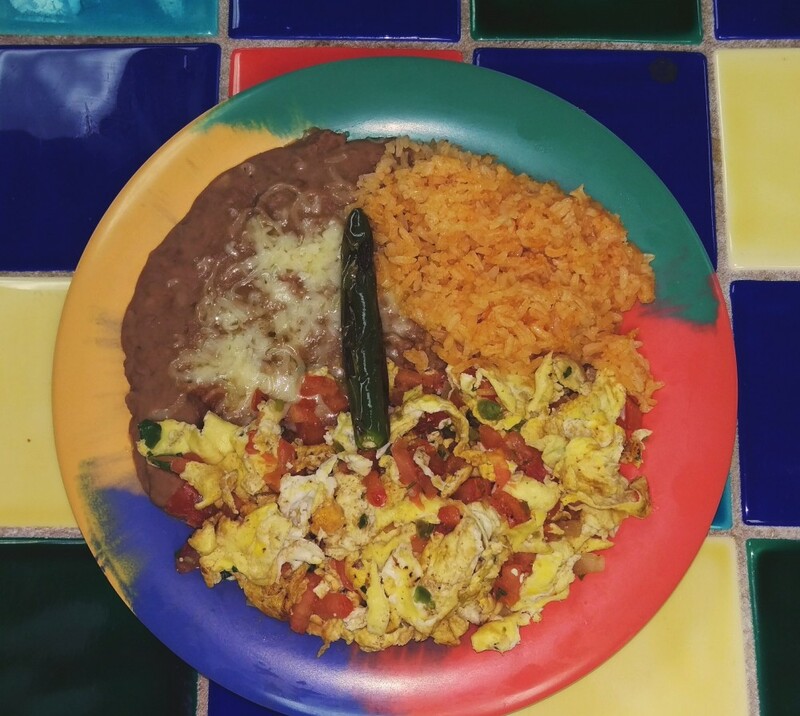 Huevos Con Chorizo - Two eggs scrambled together with chorizo, served with beans, rice & your choice of tortillas. Huevos Mexicana - Two eggs scrambled with tomatoes, onions, peppers. Served with beans, rice & your choice of tortillas. Huevos Con Enchilada - Two chorizo potato enchiladas topped with two over easy eggs with a sprinkle of Mexican white cheese and our own Mexicana salsa. Mexican Omelet - Three egg omelet filled with cheese topped with carne de res and Chihuahua cheese. Served with south of the border hash browns and your choice of tortillas. Adolph's Taco Omelet - Three egg omelet filled with taco meat, tomatoes, and crumbled white cheese. Served with south of the border hash browns and your choice of tortillas.